Approximately 3 species in Santa Cruz County. 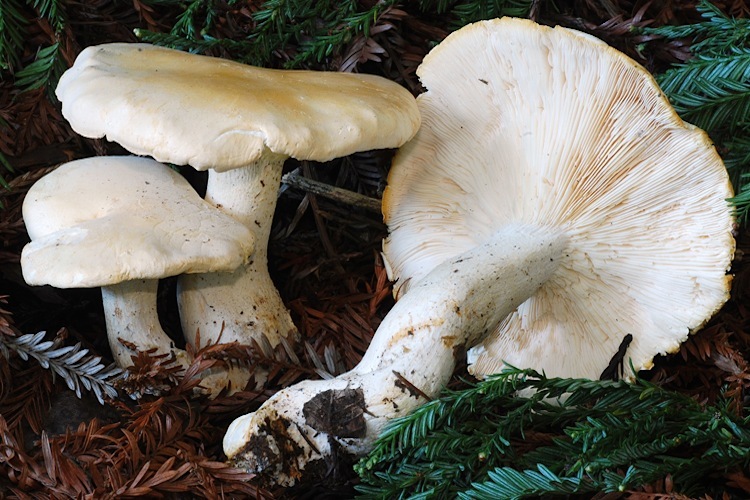 Leucopaxillus is a peculiar genus of large to very large (sometimes downright huge), fleshy, bitter-tasting, white-spored, veil-less mushrooms. The gills can be removed in a single layer (unusual for gilled mushrooms). The fruitbodies contain antimicrobial compounds and as such resist decay for many weeks. Saprobic (although this deserves more research). 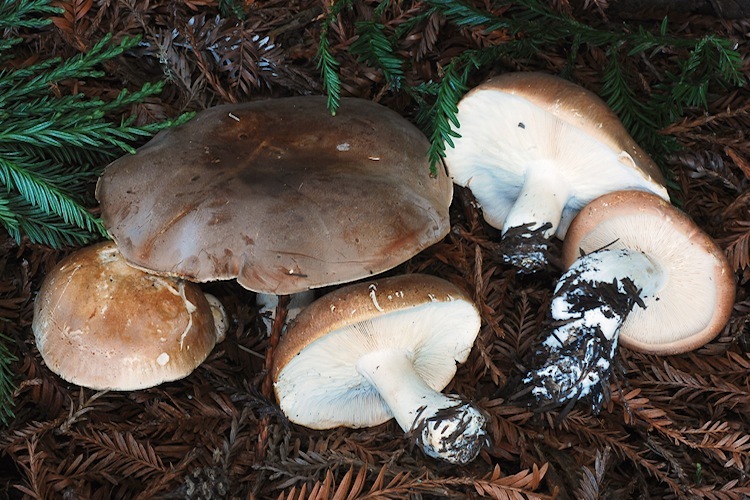 Identification of the species in this genus in our area is straightforward - one species has a white cap, one has a brown cap. 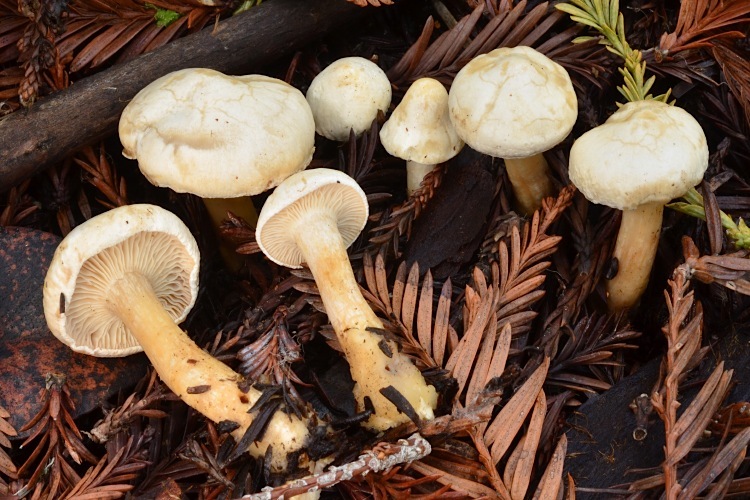 A slightly more problematic issue is learning to separate these mushrooms from other veil-less white-spored mushrooms such as Tricholoma, Clitocybe, and Hygrophorus. The bitter taste and size can be helpful cues, but mostly recognition is not too difficult and hinges on a gestalt sense.